Vote for Your School Now! Vote! 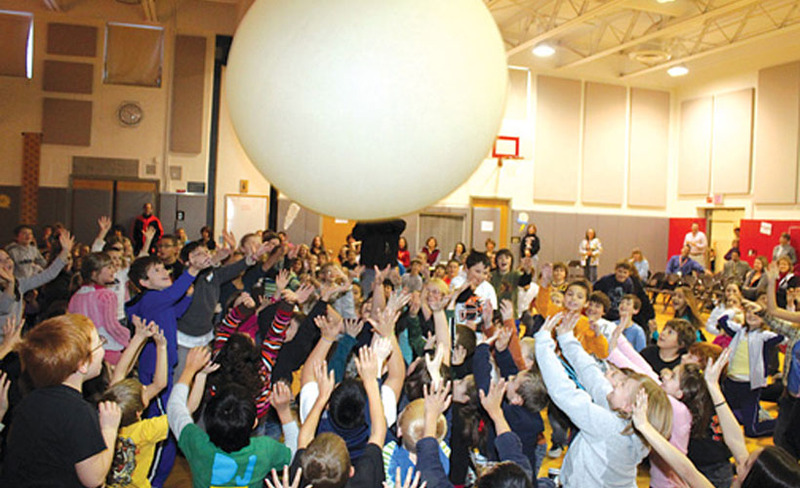 Young student scientists having fun with a Weather Balloon with Meteorologist Andy Parker and The Weather Machine. 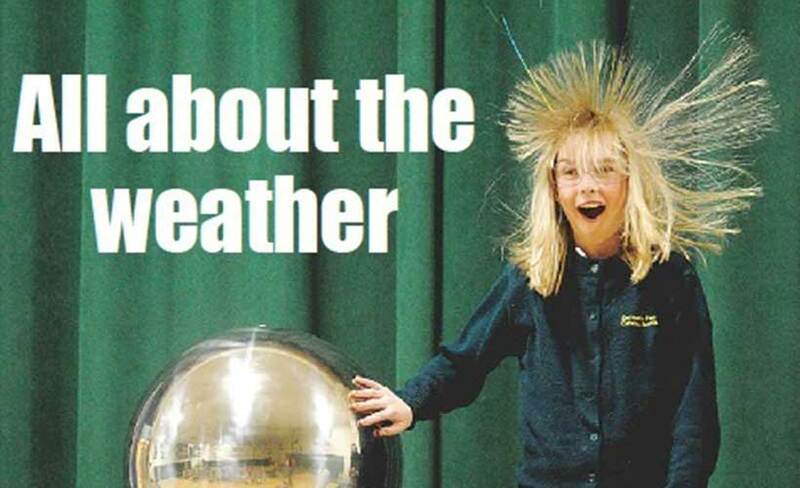 The Weather Machine Show will be a hair raising experience for your school! Andy Parker’s Weather Machine Contest begins on Thursday April 4th at 5:15am ET and ends on Wednesday April 17th at 12pm ET (“Promotion Period”). The time shall be determined by Sponsor’s timekeeping systems. Sponsor shall have the sole discretion in determining the timeliness of any action or inaction related to this Contest. All times mentioned in these Official Rules are Eastern Time unless expressly noted otherwise. All elementary schools located within the United States in the WKBW viewing area are eligible to win and will be automatically entered to win: A visit from Andy Parker’s Weather Machine. Entrants and voters agree to be bound by the Official Rules and the decisions of Sponsor. TO VOTE: During the Promotion Period, go to WKBW.com or WeatherMachine.com and follow the on-screen instructions to vote for a school from the list provided. All information you provide must be truthful, accurate and complete. Upon successfully submitting your vote to Sponsor as described above, the School you select will receive one (1) vote. Votes are not final until verified by Sponsor. No mechanically reproduced entries of any kind permitted. Illegible and incomplete entries are void. Sponsor is not responsible for incomplete, late, deleted, misdirected entries or entries not received. Entries become the property of Sponsor and will not be returned. WINNER DETERMINATION: There will be two (2) winning Schools determined at the end of the Promotion Period. The School receiving the most votes will be deemed the Top Vote Getting School. Additionally, the Schools receiving second through ten (10) highest numbers of votes will be put into a random drawing from all eligible entries received and one (1) Second Chance Winner will be selected. In the event of a tie, both schools will receive a visit from Andy Parker’s Weather Machine. Decisions of Sponsor are final on all matters. Odds of being a Top Vote Getting winner will depend upon the number of eligible entries received. Odds of being a Second Chance Prize winner will be one in nine. PRIZE(S): Two (2) Winning School Prizes – A visit to the school from Andy Parker’s Weather Machine valued at $1,250 Prizes consist of only those items specifically listed as part of the prize. No substitution or transfer/assignment of prize by winners permitted. **This Contest Period will not have a 2nd Chance Draw. The school with the most votes wins a visit from The Weather Machine. Artwork or photos sent to Andy will still be shown on TV. WINNER NOTIFICATION AND RELEASES: On or around the conclusion of the contest period, Sponsor shall notify the potential winner(s). The potential prize winner(s) will be contacted via phone and/or email. If a potential winner does not respond after the first attempted contact from Sponsor within 5 days, they will be disqualified and the prize awarded to the runner up. LIABILITY RELEASE & INDEMNIFICATION: By entering this Sweepstakes, you agree to release, discharge and hold harmless Sponsor, Sponsor Affiliates and their respective directors, officers, employees, agents and assigns (the “Released Parties”) from any claims, losses, and damages arising out of, or relating to, your participation in this Sweepstakes or any Sweepstakes-related activities (including, without limitation, any event attended as part of a prize) and the acceptance and use, misuse, or possession of any prize awarded hereunder (including, without limitation, any misrepresentation made by the entrant in connection with the Sweepstakes; any non-compliance by the entrant with these Official Rules; claims brought by persons or entities other than the parties to these Official Rules arising from or related to the entrant’s involvement with the Sweepstakes; acceptance, possession, misuse or use of any prize or participation in any Sweepstakes-related activity or participation in this Contest; any malfunction, error or other problem arising in connection with the collection, processing, or retention of entry information; or any typographical or other error in the printing, offering or announcement of any prize or winner). The foregoing includes, without limitation, any claim for personal injury, property loss or damage, or death arising in any way in connection with the Sweepstakes. GOVERNING LAW & JURISDICTION: EXCEPT WHERE PROHIBITED, ENTRANTS AGREE THAT ANY AND ALL DISPUTES, CLAIMS AND CAUSES OF ACTION ARISING OUT OF OR CONNECTED WITH THIS PROMOTION SHALL BE RESOLVED EXCLUSIVELY BY IN THE COURTS OF OHIO LOCATED IN HAMILTON COUNTY, OHIO, AND ANY AND ALL CLAIMS, JUDGEMENTS AND AWARDS SHALL BE LIMITED TO ACTUAL OUT-OF-POCKET COSTS INCURRED BY ENTRANT WITH REGARD TO THIS PROMOTION, BUT IN NO EVENT ATTORNEYS’ FEES, PUNITIVE, INCIDENTAL, CONSEQUENTIAL OR OTHER DAMAGES. All issues and questions concerning the construction, validity, interpretation and enforceability of these Official Rules, or the rights and obligations of entrants and sponsors in connection with the promotion shall be governed by and construed in accordance with the laws of the State of New York, without giving effect to any choice of law or conflict of law rules or provisions (whether of New York or any other jurisdiction) that would cause the application of the laws of any jurisdiction other than New York. All participants and winners agree, by their participation in the Contest, to submit to the personal jurisdiction of the courts of New York in Erie County and waive the right to contest jurisdiction. SPONSORS: Scripps Media, Inc. d/b/a WKBW-TV 7 Broadcast Plaza Buffalo, NY 14202 and The Weather Machine, LLC.